Flicker Alley is proud to present this exclusive interview with Kate Saccone, Project Manager of the Women Film Pioneers Project at Columbia University and author of the booklet essay for Early Women Filmmakers: An International Anthology. Saccone discusses her work with WFPP, her involvement with Early Women Filmmakers, how much progress women directors have made, and more! Can you tell our audience a bit about how you became interested in film and your background in cinema? It’s the most cliché answer in the book, but I grew up loving film. My parents made sure that I saw a lot of great cinema during my childhood and I embraced it all. I was particularly obsessed with classical Hollywood musicals like Singin’ in the Rain (1952) and Summer Stock (1950). I ended up pursuing degrees in film studies at both the undergraduate and graduate levels (at Clark University and Columbia University, respectively). During my time at Columbia, I worked as a research assistant for Jane Gaines’ Women Film Pioneers Project and began to focus on silent cinema and women’s participation in film production at that time. You have been an integral part of the Women Film Pioneers Project as Project Manager. For those who are unfamiliar, what is the Women Film Pioneers Project and what has been your involvement? The Women Film Pioneers Project (WFPP) is a collaborative online resource published by Columbia University’s Center for Digital Research and Scholarship. Our mission is to advance research on and bring visibility to the hundreds (and hundreds!) of women who worked at all levels of production in cinema’s first two decades. We strive to show that women worked in film, all around the world, as more than just actresses during the silent era. WFPP consists of career profiles (short essays on a single woman) and overview essays (longer articles looking at a national cinema or occupation) written by film historians and archivists. In addition to publishing this original scholarship, we feature a wide range of archival resources and links to facilitate further research and discovery. WFPP has actually been around since 1993 and was originally conceived of as a multi-volume book set. Luckily, we ended up being an online-only resource, which allows us to evolve in variety of exciting ways. In terms of my involvement, I became Project Manager after I graduated and right before our online launch in 2013. Each day is different for me, which I love. I do everything from outreach and film research to supervise our graduate students and manage our image database and DVD/VHS library. The largest part of my job is to oversee the editing and publishing of the profiles and essays, but I also handle social media and website updates and organize any events and screenings that we host. Basically, I get to collaborate with everyone from our wonderful contributors to our talented web developers to make sure WFPP continues to run and expand. "The Girl in the Armchair" (1912) by Alice Guy Blaché, notable for its superimposition nightmare sequence. Our friend and colleague David Shepard, who recently passed away, curated and produced our Early Women Filmmakers collection. Can you tell us how he brought you onto the project? What was your process for writing the booklet essay and film annotations included in this release? David hired me in early September 2016 after he had already selected the titles for this anthology. I spent some time researching these women in more detail and watching the films included in the set. I wanted to find ways to talk about them all together and create a narrative that put someone like Alice Guy Blaché in dialogue with Mary Ellen Bute. I tried to contextualize these women and think about their working conditions, their different relationships to the developing cinematic medium, and their legacies. I knew that I could not talk at length about every single woman, but I looked for threads that connected them all in various ways. Successful director Lois Weber was at one time the highest-paid director in Hollywood. Lois Weber was once as famous and respected in the film industry as her contemporaries Cecil B. DeMille and D.W. Griffith. Why do you think women directors like her were largely written out of film history? And what are some of the ways in which film historians and fans have gone about restoring recognition for these artists? 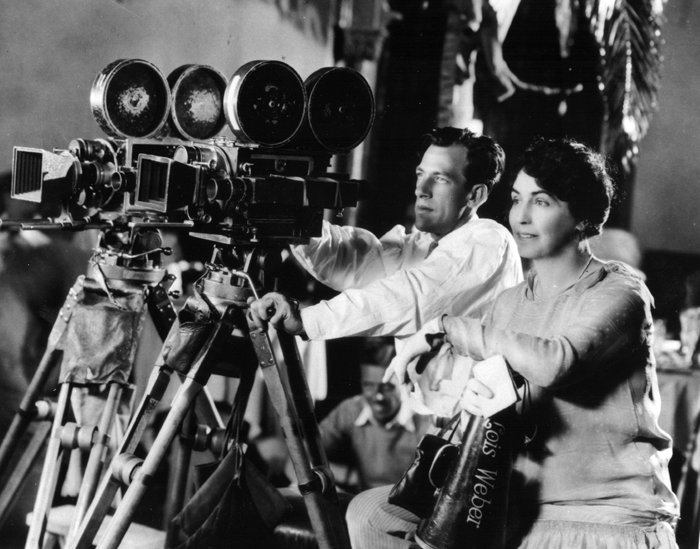 A simple answer is that, in the United States, women directors like Weber were essentially marginalized and pushed out as a result of Hollywood’s move toward vertical integration and the producer-centric system of production in the 1920s. Over time, the idea of “director” became synonymous with the male filmmakers who dominated the studio system, essentially allowing film history to “forget” about all the women who shaped the emerging art form in its first two decades. For a more detailed understanding of this period, there are several important books that I urge people to read, like Shelley Stamp’s Lois Weber in Early Hollywood, Karen Ward Mahar’s Women Filmmakers in Early Hollywood, and Jane Gaines’ forthcoming Pink-Slipped: What Happened to Women in the Silent Film Industry? These resources, along with other publications on specific women, the efforts of film festivals and conferences, restorations and DVD releases, and online discussions, are a vital part of the international film community’s efforts to restore recognition for these artists. Archivists, film programmers, academics, distributors, and fans have been celebrating and sharing the work of early women directors for years and it’s exciting to see awareness of female filmmakers like Weber continue to grow. How much work still needs to be done for early women filmmakers to get their due, and what sort of progress have you seen while working with the Women Film Pioneers Project? While we’ve come a long way in recognizing the work of some early female filmmakers, there’s still a long way to go, especially in raising awareness outside of academia and the film community. I do feel like there has been an increase in film programs and online articles in mainstream media outlets focusing on early women directors in the last few years. I think people are recognizing more and more the urgent need to rewrite these women back into film history. 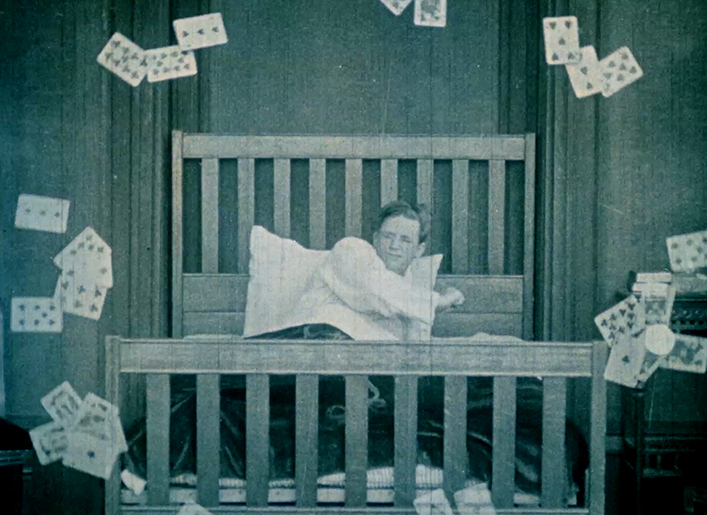 There are so many great resources and efforts out there—from silent film blogs like Movies Silently and film festivals like Il Cinema Ritrovato to publications like Doing Women’s Film History and Tami Williams’ Germaine Dulac: A Cinema of Sensations. It’s all fantastic work, and we just need to keep going! In your essay for Early Women Filmmakers, you mention how the set highlights how there is “no one way to be a female filmmaker.” Why do you think that’s important? And what are some of the films included that might ‘break the mold’ of what mainstream audiences might think about the cinematic contributions of early women directors? I think it’s always important to remember that “woman” or “woman director” is not homogeneous —then and now. When I look at this anthology, I love seeing Weber’s thriller Suspense (1913) alongside something like Bute’s experimental “film ballet” Spook Sport (1939). Those are two very different films made by women, and we should celebrate that diversity. 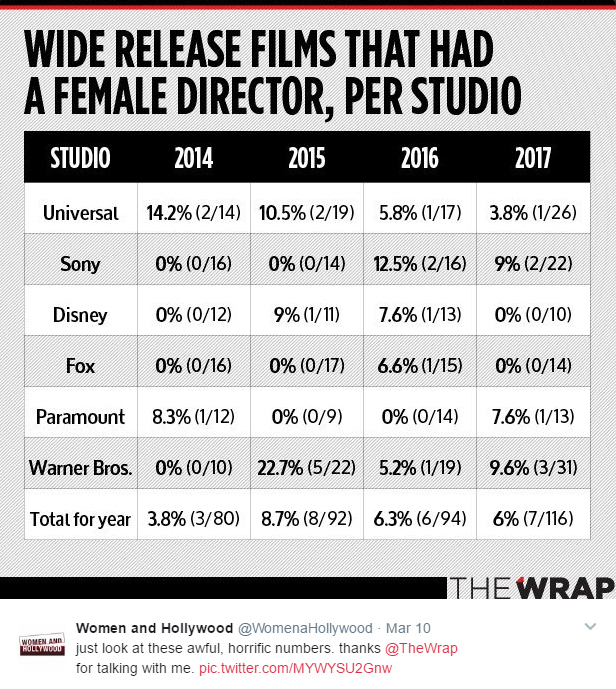 We often expect women to only make “women’s films” (films that deal in theme/topic with women’s issues) and that’s so limiting. The 14 filmmakers included in this set worked in vastly different ways (commercially, independently, in collaboration, alone, etc.) and in numerous genres and modes (documentary, animation, comedy, etc.). Even just looking at one woman, this release highlights how Guy Blaché made so many different types of films during her career. Overall, I love that there’s a mix of films that directly engage with issues of gender like The Peasant Women of Ryazan (1927), Dance, Girl, Dance (1940), or La Souriante Mme. Beudet (1922), but also films like Parabola (1937) or The Stolen Heart (1934) that do not in the same way. 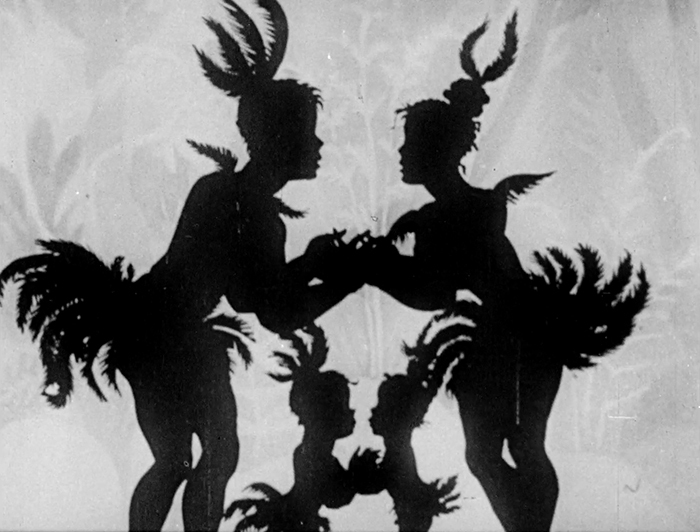 "Papageno" (1935) by Lotte Reiniger, based on Mozart's "The Magic Flute"
Which films included do you find most surprising or relevant in theme today? I think Guy Blaché’s Making an American Citizen (1912) and Weber’s The Blot (1921) both speak to larger issues and concerns that are extremely relevant today. 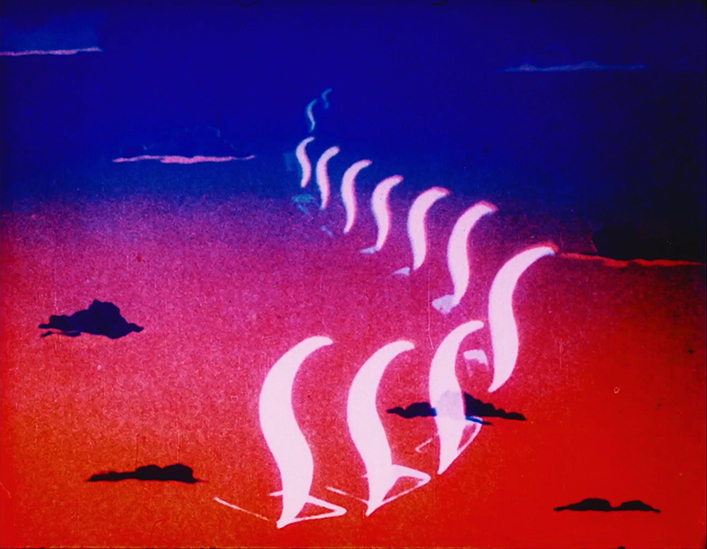 I am always blown away by Lotte Reiniger’s silhouette animation work and it continues to thrill and surprise me every time I watch her films. It is nice to see some of her shorts included in this anthology, giving viewers a chance to see other titles beyond the canonical The Adventures of Prince Achmed (1926). Some viewers might find the inclusion of Leni Riefenstahl’s Day of Freedom (1935) controversial. Why is it important to include and preserve this film as a historical document, and why is it important that Riefenstahl remain part of the discussion of international early women filmmakers? Did David Shepard happen to talk to you about why he wanted to include this film? Like I said, I became involved in this project after the titles were selected, so I cannot speak to David’s motivations. Given that this anthology is meant to have an international focus on women filmmakers working up to World War II, I understand why someone like Riefenstahl was included. Her career and work are part of our global cinematic history. Day of Freedom is inseparable from a much larger (and timely) discussion of our world history and cinema’s relationship to politics. That said, I do believe that any public screening of her films should make the effort to contextualize her work, either through program notes or a panel/intro. For viewers of this anthology, there’s a title card that explains the context of Day of Freedom and I tried to contextualize her work similarly in my film note and bio blurb. Can you talk a little bit about the concept and practice of collaboration in regards to the history of women in film? How has it been a strength? How has it been a hindrance? A lot of early women directors worked in important collaborations over the course of their careers. In many ways, it made things easier for them as professional women in 20th century society. For example, Germaine Dulac couldn’t start her film company without the financial participation of her husband because of the Napoleonic code in France at the time. 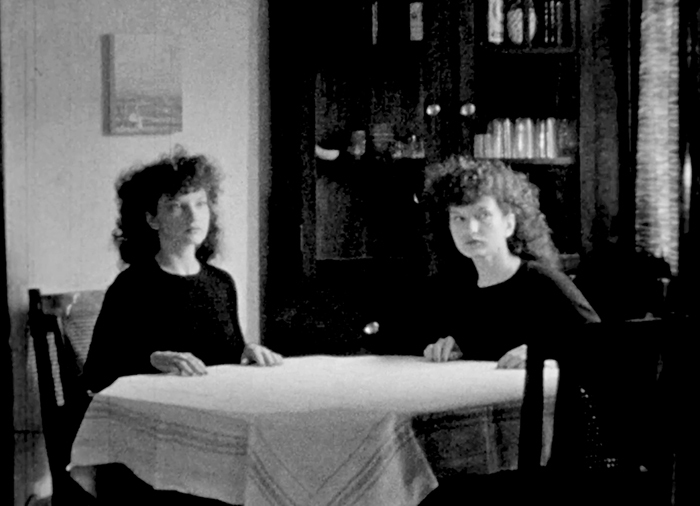 More egalitarian husband/wife partnerships were also common—Guy Blaché and Herbert Blaché, Weber and Phillips Smalley, Claire Parker and Alexandre Alexeieff, Maya Deren and Alexander Hammid, and Reiniger and Carl Koch are just some of the many examples of this. Filmmakers like Weber, Guy Blaché, Deren, and Reiniger certainly emerged as the dominant members in these partnerships. There’s always the danger, however, that in working in collaboration, credits and authorship—especially in early cinema—become even more difficult to figure out. In many cases, the woman’s contribution is overlooked in favor of the man’s. For example, Parker’s role as a director/animator often seems to be eclipsed by her more well-known husband. Though we did our best to include a wide array of films and filmmakers, we of course could not include everything. Is there a director whose work you think should be included on a follow-up edition? In a perfect world, I’d love to see Esther Eng’s one extant film, Murder in New York Chinatown (1961), more accessible to contemporary viewers. While that’s a later title, Eng is an incredibly important early female director, whose work spans the 1930s through the 1960s. I’d also love to see figures like Gene Gauntier, Marion E. Wong, Sakane Tazuko, or any of the women making non-fiction films in the UK in the 1930s/1940s (Marion Grierson, etc.) included in a follow-up edition. What do you hope the effect of this release will be on film fans or film discussion? Why is now an important time to release this set? Can you speak about the climate of the film industry toward women directors today? For viewers already familiar with some of these women, I hope that this release will continue to inspire them to seek out other titles/directors and encourage them to revisit female artists who have been overlooked in favor of their male counterparts. For fans that are new to these names, I hope that this anthology will get them excited about some of the female filmmakers who worked during the first 40-plus years of cinema. Every time that we can add more films and filmmakers to our repertoire we’re expanding the conversation and changing our perspective in dynamic ways. Our thanks to Kate Saccone for granting us this interview! Kate Saccone is the Project Manager of the Women Film Pioneers Project at Columbia University. She has organized multiple film series and events relating to women and early cinema, including at the Museum of Modern Art, Anthology Film Archives, and the Film Studies Center at the University of Chicago. Her writing has appeared in Cinephile and various online outlets. Kate received a M.A. in Film Studies from Columbia University and a B.A. from Clark University. 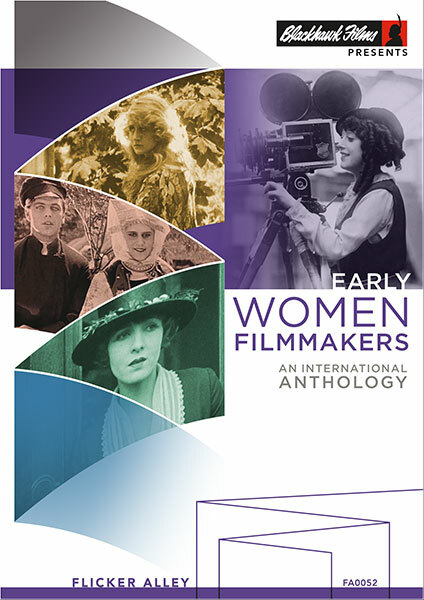 Pre-order Early Women Filmmakers: An International Anthology on Blu-ray/DVD now! Sale price $49.95 ends May 16, 2017!